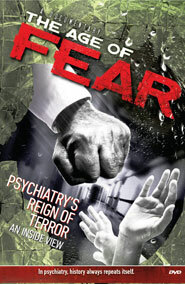 Click here to download and read the full CCHR report Chaos and Terror Manufactured by Psychiatry. Terrorism is created; it is not human nature. Suicide bombers are made, not born. Ultimately, terrorism is the result of madmen bent on destruction, and these madmen are typically the result of psychiatric or psychological techniques aimed at mind and behavioral control. Suicide bombers are not rational—they are weak and pliant individuals psychologically indoctrinated to murder innocent people without compassion, with no concern for the value of their own lives. They are manufactured assassins. From Hitler’s “Final Solution” in Germany 70 years ago and the unthinkable “ethnic cleansing” and terrorist purges in Bosnia and Kosovo in the 1990s, to today’s suicide bombers, the world has suffered greatly at the hands of programmed assassins and genocidal maniacs. We’ve been led to assume, by psychiatric “crisis teams” sent almost immediately to any terrorism or disaster scene, that people suffer severe psychic wounds from experiencing such traumas, or even from being in the general vicinity when they occur. The DSM categorizes symptoms most survivors experience following a disaster as “acute stress disorder” or “posttraumatic stress disorder” (PTSD), but are these people really suffering from a “disorder” requiring psychotherapy and the use of potentially addictive medications? 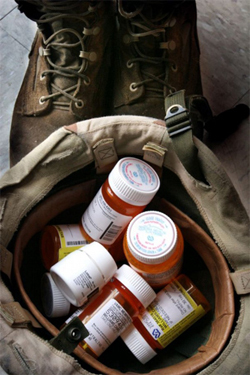 While the effects of war are devastating, psychiatrists use people’s logical reactions to it to make money at the expense of their vulnerability. Download and read this publication to find out who are the hidden key players, psychiatrists and psychologists, in the alarming and explosive upsurge in terrorism and PTSD today. Publicly exposing this destructive source behind terrorism provides insight and solutions to an otherwise incomprehensible and devastating phenomenon. For more information, click here to download and read the full CCHR report Chaos and Terror Manufactured by Psychiatry.